The high season, July and August, is understandably the most expensive time of year to visit Croatia, reflected in the highest accommodation prices. In April, May, September and October, prices are often cheaper; outside of these months they can further be reduced by up to 50%. There are over 200 camping grounds along the Croatian coast – see the Croatian Camping Union for listings, included detailed guides to the facilities that the campsites have. For the best value accommodation, it’s a good idea to stay in private rooms or apartments which are very popular in Croatia. You may either see people advertising ‘sobe’ (rooms – a ‘soba’ is a ‘room’) at ports and bus/train stations in popular resorts. These private rooms or apartments may sometimes actually be in people’s houses, but in most cases they are located in a separate area or floor of the house, or in another house that the owner uses for holiday rentals. You can always ask to see the room/apartment first before agreeing to take it. Alternatively, every single town has a tourist office (Turisticki ured) – should you ever be stuck for accommodation, head to the tourist office and they will help sort something out. Hotels are of good value, but top class accommodation is expensive. See our Accommodation in Croatia section for full listings of hotels, private rooms and apartments, campsites, hostels, villas and more in locations all along the Croatian coast, Zagreb and elsewhere in the country. In Croatia, you’ll find standard fare as in many other central European or Mediterranean countries (pizza, pasta, meat dishes, fish). All food is safe to eat as restaurants are regularly inspected. Fish and seafood is a speciality along the Croatian coastline, unsurprisingly – if you visit, you absolutely must try some locally caught seafood, especially oysters and mussels. It is safe to drink tap water in Croatia. 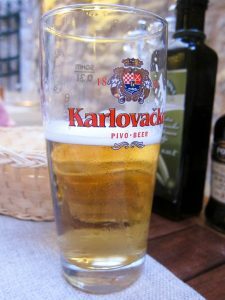 Croatian beers (the word beer in Croatian is “pivo”) are of a high quality. Try Zagreb’s Ozujsko pivo or Karlovacko pivo or Tuborg, which is brewed by Carlsberg Croatia. In Dalmatia, some red wines such as Faros or Dingac are exquisite. You should also try Croatia’s favourite brandy sljivovica, made from plums, or travarica, a herbal brandy. Find out more on Eating in Croatia and Drinking in Croatia in our special sections, or give one of our Croatian Recipes a go! Alternatively, you may also find our Special Dietary Requirements in Croatia page useful. Croatia uses the standard European 2 point plugs. Croatia is 1 hour ahead of GMT, the same time zone as the majority of Western Europe. The Croatian language uses the Latin alphabet. There are 30 characters in the Croatian alphabet. 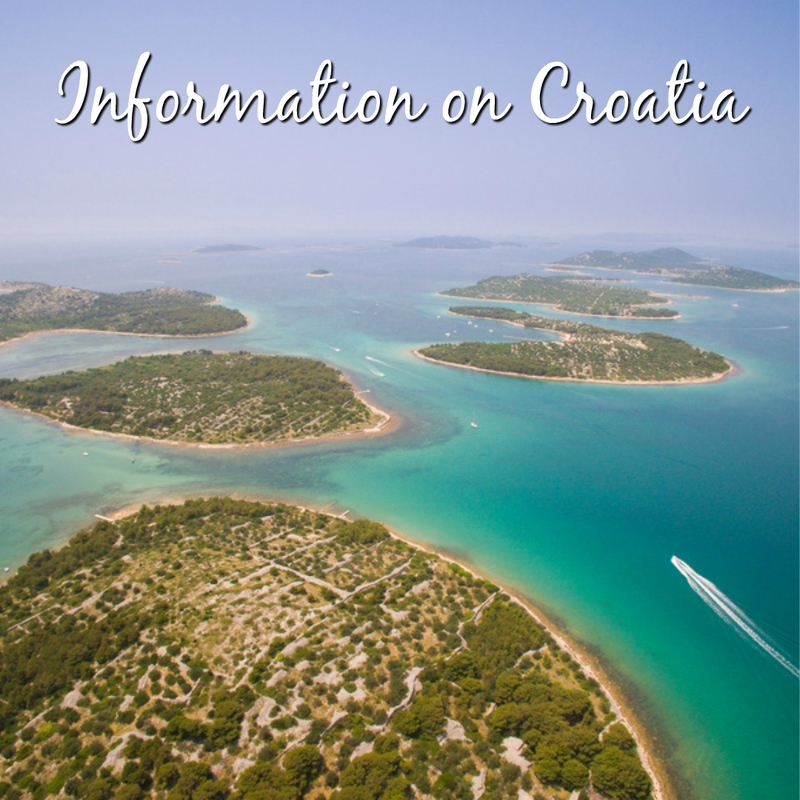 See more about the Croatian language in our Croatian for Travellers section. The dialing code for Croatia is +385.